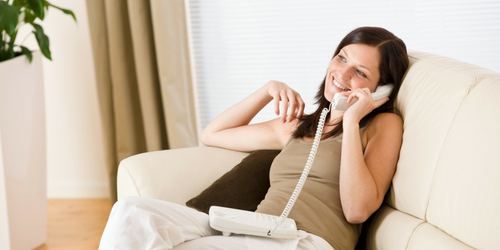 One-on-one personal consultations by phone. Coaching with alternative, natural, holistic and vibrational healing solutions to your problems. I provide this one-on-one phone advice, consulting and coaching service for individuals who want to consult me privately to find alternative, natural, holistic and vibrational healing solutions for their problems. This can be done by phone, from the comfort of your home, using facetime, whatsapp or messenger. Alternatively, you can also call me using your landline or mobile phone if that is preferable to you. In order to book an appointment and find a convenient day and time for both of us, you have to contact me first via my contact form. Once I get back to you by email, we can work out the details and schedule an appointment. Your investment is 99 USD per one hour consultation, or 49 USD per a half an hour consultation. Payment is easy and simple through PayPal after an appointment has been scheduled and payment is required before the consultation begins. You can get my one-on-one holistic advice in English, Spanish or Italian. My advice is always tailored to your personal, specific needs and circumstances. I offer only holistic, natural advice and therefore the solutions are always based only on natural and vibrational remedies. It is holistic because it takes into account the body, the emotions, the mental and the spiritual issues related to a specific problem of yours. a) Your body. I tell you how to address physical conditions (like headaches, colds, ear pains, sciatica, nausea, fatigue, weight concerns, food allergies, etc.) using only alternative medicine, Ayurveda and natural home remedies. I give you phone advice and coaching to use food as medicine according to your personal metabolism, pulse, blood type and Ayurvedic doshas. If you have problems with specific organs or parts of your body, I can point to you the best way to address the issues involved with the meridians and chakras that govern those organs or parts of your body. b) Your emotions. I give you phone advice on how to manage uncertainty, fear, discouragement, depression, over-sensitivity or worries, loneliness, resentment or self-denial with the vibrational energetic support of Bach Flower remedies. I tell you the exact remedy or remedies that are suitable for your personal emotional condition according to your own circumstances. I can also advice you on how your particular emotions relate to the meridians and organs of your body and what to do about it. c) Your mind. I can help you identify possible limiting beliefs that might be blocking your attempts to change or to apply the law of attraction correctly. I can draft for you scripts to use as positive affirmations in your case. I can give you advice on how to reprogram your subconscious mind with the help of subliminal audios. d) Your soul. I can help you identify a path that is consonant with your own personality type. This is important because it gives you the tools you need when it comes to making decisions, ensuring that they work for you instead of draining your energy. Your personality type is also relevant to pinpoint your passions, but also your challenges and how to address them effectively in accordance with your unique talents. e) Sound healing and music healing. I give you phone advice about the sound healing frequencies to balance and heal the chakras and body meridians. We can also talk about your possible personal musical scale for your personal sound healing and explain how this music scale might relate to your personal chakras and body meridians. If you are interested in reprogramming your subconscious mind towards your goals, through the use of subliminal messages, we can discuss a possible subliminal recording for you, tailored to your specific needs and circumstances. Tailored subliminals allow you to review the script before the recording takes place. Once approved, the subliminal messages are mixed with your favorite music and you get the product as an mp3 file (other tipesof audio files can also be agreed and discussed according to your preferences). You can then let your subconscious mind "work" by simply listening to it. Alpha, Theta or Delta healing frequencies can also be included in the mp3 file, on request. I give you advice on how this works, so you can choose the best option for you. Just imagine being able to listen to your favorite song and vibrationally work on transform your life at the same time. If you are interested in having a holistic personal consultation with me by phone, contact me first via my contact form. Once I get back to you by email, we can work out the details and schedule an appointment on a day and time convenient for both of us. Legal disclaimer: Results of any treatments provided vary from person to person. As with any holistic, alternative treatment, the advice and holistic suggestions are not intended as medical advice and do not replace professional medical advice or treatments. Always consult your doctor or health care provider for medical problems.